Serene forest beauty and rustic facilities combine to make Fir Point the ideal location for Christian camping and retreats. Our 240 acres offer a beautiful environment that inspires worship and encourages spiritual growth. 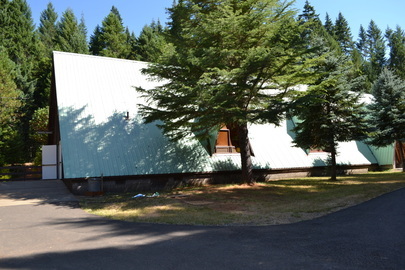 Our facilities offer plenty of room for Bible classes, dining, lodging, recreation, and relaxation. Fir Point exists to give ample opportunities to minister to others, enjoy Christian fellowship, and enrich personal relationships. 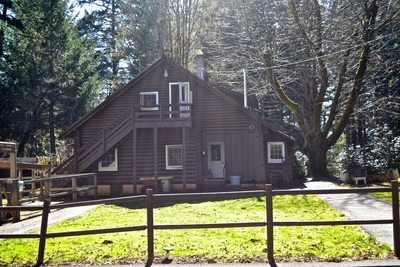 This charming structure, built in the 1930’s, provides a delightful and comfortable atmosphere for winter retreats, as well as, serving many people year round. The lodge is well appointed with 5 bedrooms, each with a double bed and some single beds. The kitchen efficiently serves small groups. The combination living-dining room comfortably seats 60. 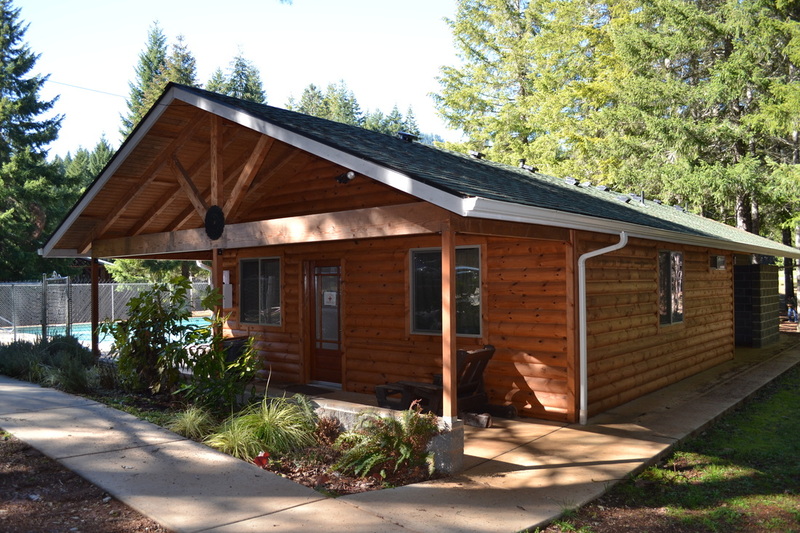 Fir Point has a variety of cabins to accommodate your needs. We have 2 A-frames which accommodate 10 campers each and are adaptable to couples and families. Our 8 conventional cabins sleep 12 campers each. 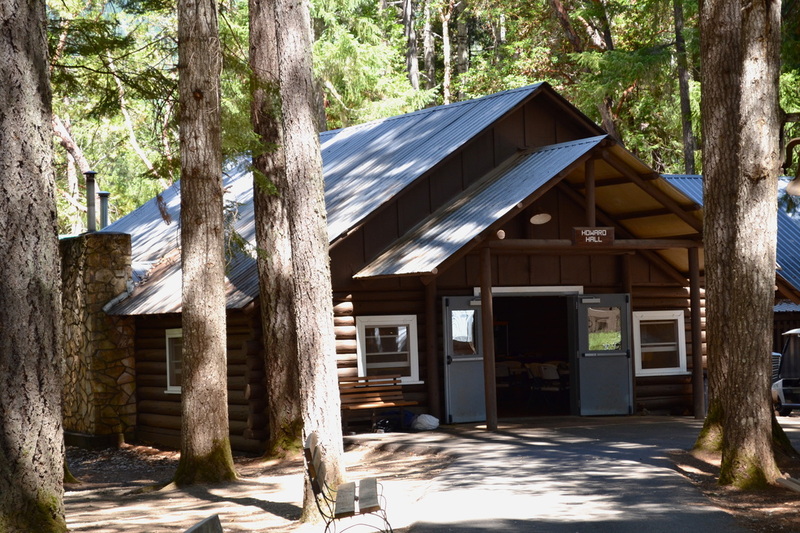 Fir Point’s 2 rustic summer dorms hold 11 and 13 campers, with 2 small rooms adjacent. 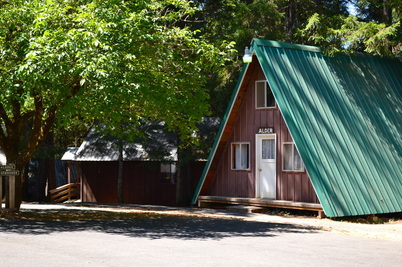 We have 2 fully equipped restroom facilities near our cabin locations. This beautiful 3 bedroom, 2 bathroom bungalow is handicapped accessible and located adjacent to the pool and pool restrooms. This cabin is also available to pastors and missionaries. Please contact the conference center for more information. The dining hall is outfitted with a fully equipped kitchen and indoor dining space for 104. Our outdoor eating area can seat up to 120. Our attractive A-frame chapel has generous seating for up to 200 people. Fir Point’s fireside amphitheater is located in a beautiful natural setting and is excellent for campfires. We offer a recreation building that houses a game room stocked with table games, basketball courts, and a removable volleyball court. 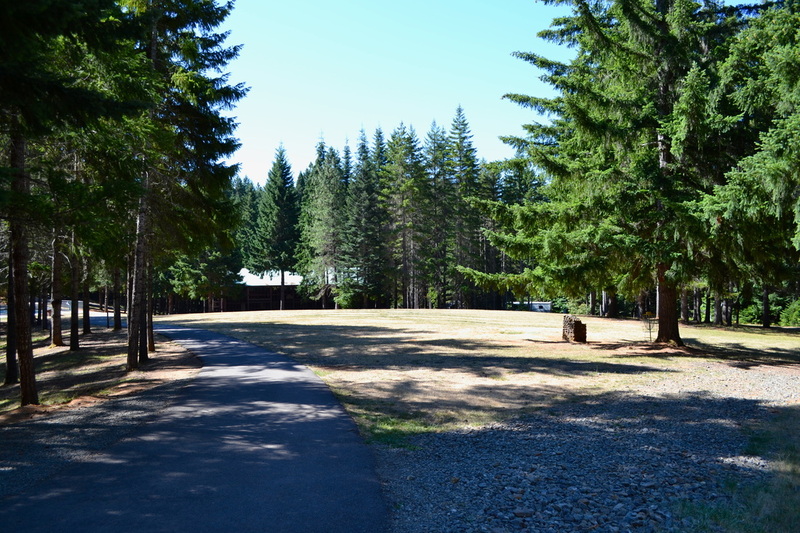 Fir Point also supplies 2 horse shoe pits, hiking, playground for younger children, and a 9 hole frisbee golf course. We have 14 w/e hookups for your convenience.